You must have heard the stories related to ATM malfunctioning whereby no cash is dispensed, although cash gets debited from one’s account. Last month a similar incident came to light. Vandana, a resident of Marathahalli, Bangalore, had given her husband her SBI debit card to withdraw money. The SBI ATM just delivered a slip showing that money has been debited. Following this, the couple raised a complaint with the bank, but SBI rejected the claim citing the ‘non-transferable’ rule as the account holder was not the same as the ATM user. When the couple knocked at the doors of the consumer court, they too dismissed the case. The court said that Vandana should have given a self-attested cheque or an authorization letter to her husband giving him the permission to withdraw cash from her account. But this is just one such scenario. 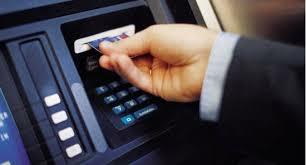 What are the other circumstances that are possible when you are at the ATM trying to withdraw cash? The two most common scenarios are either you will be able to withdraw cash immediately or your transaction might get canceled due to insufficient funds or a wrong PIN. The other one is that you go to the ATM, do the needful process and your transaction is declined. But immediately you get a notification from the bank that the money has been debited from your account. Let us first try to understand why it happened. The first reason might be that the machine could be faulty and might not have registered the details correctly. In some cases, the ATM could be out of cash, and in some other cases, this could be a case of fraud. Normally when an ATM is faulty, the bank system recognizes it and credits the debited amount back into the account and you will get a notification. But if the auto-credit does not happen, then you need to take any of the steps mentioned below. Note: It is important to keep the transaction slip safe since it will the transaction reference number. – Customer Care: Most banks have call centers where they have placed their employees who are there to help the customers. So, once you connect to the executive, tell him the whole incident and your transaction reference number. Normally the executive will give you a tracking number and will file the matter for investigation. Upon verification, if this was genuinely an error from the bank’s side, they will refund your money to your account within 7 working days, according to a BankBazaar report. – Visit the Branch: If the problem has not been solved by customer care, visit the nearest bank branch to raise the issue. The helpdesk will take down your complaint and direct it to the right individuals/ teams who will look into the matter and reverse the transaction for the incorrect debit. – Escalate: If it is still not done, you need to escalate the issue to the branch manager where you hold the account. Every bank also has a grievance cell that looks into the matter with utmost priority. For that, you need to visit your bank’s website and file a complaint. – Ombudsman: If the amount has not yet been reimbursed despite your follow-ups and escalating the issue, you can reach out to the Reserve Bank of India or to the banking Ombudsman directly. Complaints can be sent in writing or online through the RBI website. However, please do note that you can get in touch with the banking ombudsman only 30 days after you’ve sent in your written complaint to the bank. Previous Article Is Non-functional Testing Always Carried out without Documentation and Test Cases? Why? Next Article What is a budget?